The handy Windows touch tab on the Sculpt Comfort Mouse revolutionises the relationship between hardware and software, providing quick and easy access to your favourite Windows 8 features. 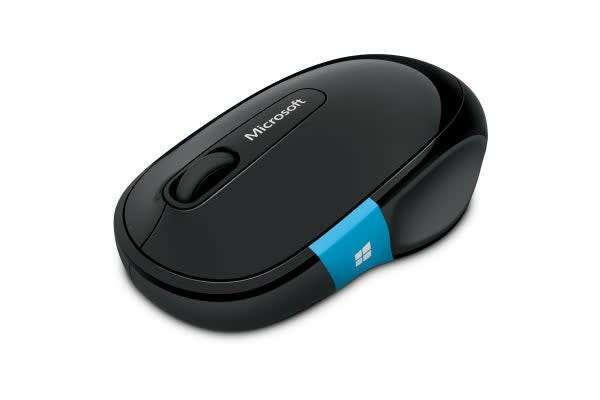 The Microsoft Sculpt Comfort Mouse (H3S-00005) will bring order to your busy days. With the ease and speed of the Windows touch tab, the mouse lets you can get things done with precision and effortless control. Its intuitive, modern design and high functionality makes it the perfect complement to your Windows 8 experience. The Sculpt Comfort Mouse features Bluetooth connectivity, so you can easily pair your device with your PC or tablet and not worry about using cords or transceivers. As well, its BlueTrack technology works on virtually any surface. The right-handed thumb scoop design and tilt wheel allow you to quickly and comfortably scroll left, right, up and down.